Superdry women’s hooded Luxe chevron Fuji jacket. 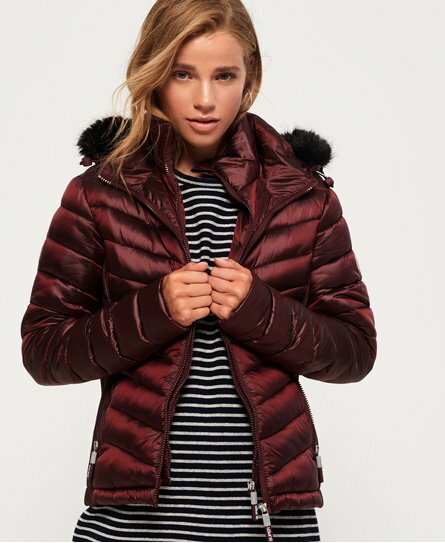 A must-have in every woman’s wardrobe, this lightweight quilted jacket features a double layer zip, a quilted hood with bungee cord adjusters and two external zip pockets (ideal to keep your phone and keys safe). This jacket is completed with ribbed side panels, a Superdry logo badge on the sleeve and a removable hood with a faux fur trim.